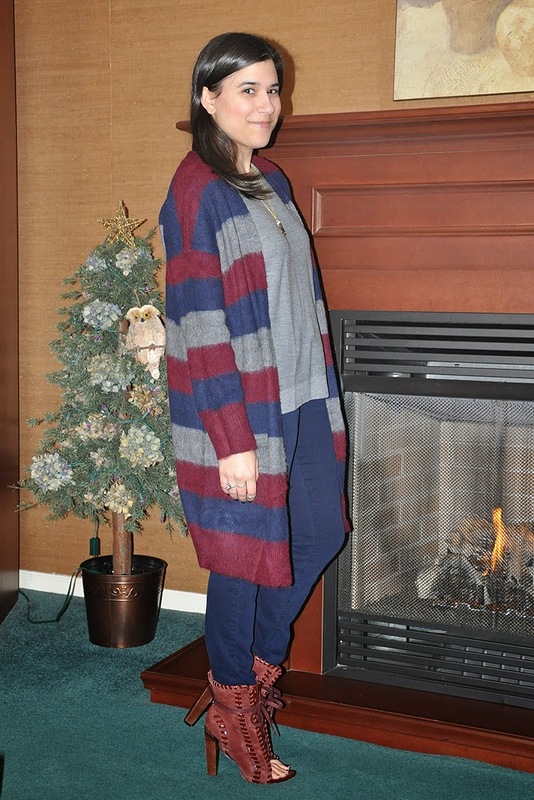 Say hello to my newest closet addition - a DKNY oversized cardigan! This was my one purchase from Net-a-Porter's End of Season sale! I was good and resisted the temptation of higher priced items. While I did spend $94 on it, I think it will last me quite a while as it contains colors I wear all the time. I ordered it last Monday, and it arrived on Tuesday. Yes, folks, a little over 24 hours later! I do love Net-a-Porter's quick shipping! And my new Chanel 'Orage' nail polish was a perfect match for the blue! I love when outfits come together perfectly like this. Yay for the new purchase! That is going to be so fun to mix prints with! Oh wow, I love that cardigan! It looks so cozy! These are totally your colors! I can't believe how fast you got it! I wish everything was delivered that fast. 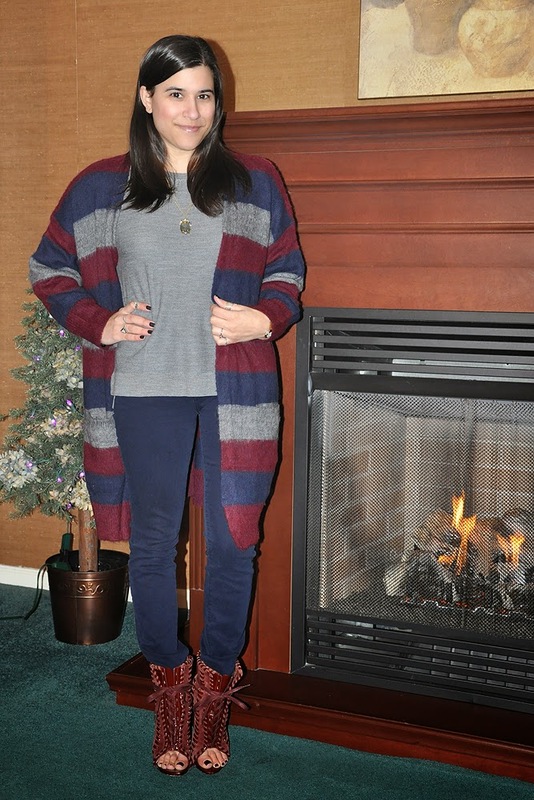 I love how you styled it, the cardigan is beautiful! What a cool pair of shoes! Also, yes...that cardigan seems like such a wise purchase. I also have been mindful of spending a little extra money on things that will last me a long time. It limits the options I have left in my closet, but quality over quantity is what matters most, I think. That looks to be a very cozy cardigan, and has dare I say, a harry potter feel? Glad you held out for the best deal - it must be so hard to watch your favorite things go out of stock. So perfectly matched with the shoes… looks like you're ready for Fashio Week, great look.